Another perspective, a few days later . . .
Oh my! This is beautiful. 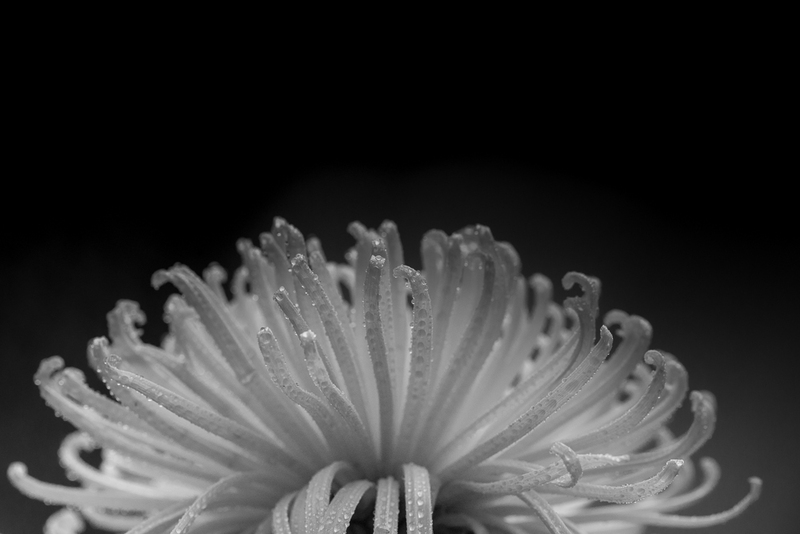 The way you have captured the droplets of water on the flower, the black/white….simple amazing.